If you are missing one tooth or all of your teeth, dental implants may be able to restore your smile. Dental implants are considered the most natural way to replace missing teeth, and are the number one recommended treatment for lost teeth due to their long-term oral health benefits. A dental implant is a three-part prosthetic tooth that looks and functions like a natural tooth. The implant is designed to mimic the natural ingenuity of real teeth. A small titanium screw, abutment, and restoration are used to create a comfortable, durable and stable missing tooth replacement. Dr. Nadder Hassan offers full-service dental implants under one roof. Our all-inclusive dental implant treatment plans help to streamline the process for our patients saving them time, money and unnecessary visits to specialists. We keep our dental implant services in-house when possible to ensure high quality, consistent results. Dr. Hassan’s goal is to provide the most comprehensive dental care that promotes long-term stability and oral health. Our dental care team works to ensure that patients build beautiful smiles on secure oral foundations for lasting results. Dental implants have nearly a 98% success rate. Implants are considered one of the most successful and most natural dental treatments, providing stability, bone regeneration and improved function of the bite and speech. Dental implants support long-term oral health and can improve a patient’s quality of life. Patients who choose dental implants enjoy security and confidence knowing that their prosthetic teeth will not shift or slip while interacting with other people. Dental implants are designed to look and feel like natural teeth and require no additional maintenance beyond regular oral hygiene and biannual dental check-ups. Dental implants may also be used to secure a new or ill fit denture. Patients with an older denture may be frustrated by how poorly it fits or with the aesthetic appearance of the denture. Dental implants can be used to secure the denture for added support and stability. An implant secured denture can be life changing for patients who have been embarrassed by the effects that a removable denture have had on their speech and ability to eat many of the foods they enjoy. If you have a denture, ask Dr. Hassan how implants can help improve your comfort, speech and the function of your bite. Dr. Hassan welcomes patients from many Northern VA communities, including Centreville, Manassas Park, Strasberg, Clifton and Warrenton. Every employee at Manassas Smiles is incredibly warm and welcoming. Every time I entered the building I was greeted by name. I really enjoyed my experiences here and would recommend them to anyone looking for a high quality dentistry experience!Jamie S.
Stunningly kind staff. Not just the dental assistants, but the dentist AND every one of the front desk staff. Kind of a human anomaly really. They know your name when you walk in the door and even cared enough to recall who my daughter was on her recent visit. We…Stephen K.
So thankful I saw this office and no other! I hadn't been to the dentist in over 2 years (dumb on my part) and received such great care here. Was really nervous, so much that I cried at least twice and the dentist and assistants made sure they made me…Kayli L.
I love this place. The staff is wonderful. Medina is the best she went above and beyond to see if our insurance was accepted there. My 2 year did a great job on his first dental visit and loved the staff and dentists.Michelle P.
The dental implant procedure is a multi-phased process. Dr. Hassan will help patients map out their treatment plan and coordinate in-house appointments with any necessary specialists. Treatment plans may vary from patient to patient depending on the number and location of missing teeth, bone health, and any additional necessary procedures. Dr. Hassan’s goal is to provide the most comprehensive dental care that promotes long-term stability and oral health. The first phase of the dental implant procedure is the planning phase. Dr. Hassan will work with patients to create a detailed treatment plan. We will optimize the existing healthy bone structure and determine the best implantation location and angle for optimal results. The surgical phase will be scheduled. The titanium post will be surgically implanted into the jawbone. The post takes about 3-6 months to fully heal. Our dental care team will provide post-surgery instructions to ensure a quick and comfortable recovery. During the healing phase, the implant will begin to fuse with the bone creating a permanent, secure bond. Some patients will be fitted with a temporary restoration while their implant heals. Once healed Dr. Hassan places an abutment onto the dental implant. The abutment protrudes from the gum line and is used as an anchor to keep the dental restoration in place. The dental restoration will then be designed. Patients may receive a dental crown, bridge, denture or partial denture. The type of restoration will be determined based on the number of missing teeth it is being used to replace. Dr. Hassan will create a restoration the looks like natural teeth and that will blend seamlessly with your smile. The dental restoration will be permanently bonded to the implant. Our dental care team may make personalized recommendations for maintaining your dental implant based on your oral health. Routine dental checkups will help keep your restoration healthy. With good oral hygiene, dental implants can last a lifetime. With good oral hygiene and regular visits to the dentist, your dental implant can last for many years. Dental implants require healthy bone and gum tissue to succeed. Twice daily brushing and flossing and biannual dental check-ups and teeth cleanings can keep your dental implant healthy and secure. A healthy, varied diet and avoiding sugary beverages can also help keep your teeth healthy. Do dental implants require additional maintenance? Dental implants only require the same oral hygiene as your natural teeth and do not need any special maintenance. Brushing, flossing and regular teeth cleanings are essential for long-term success and oral health. Dr. Hassan provides IV sedation, oral conscious sedation and laughing gas sedation options for patients optimal comfort during their dental implant treatment. Most patients are surprised at how comfortable they are during their implant procedure. 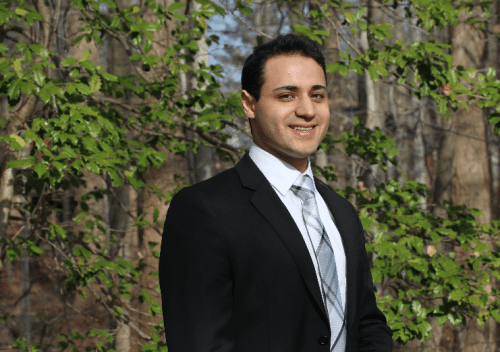 Dr. Nadder Hassan provides a full range of dental services at Manassas Smiles in Northern VA. Personalized care using quality materials and advanced technology is the foundation of your family-friendly dental practice serving patients and families in many local communities. Our team places an emphasis on patient education and a conservative approach to your oral health care. Our goal is to serve as a partner in your health care, working with you to maintain a healthy, beautiful, and lasting smile.